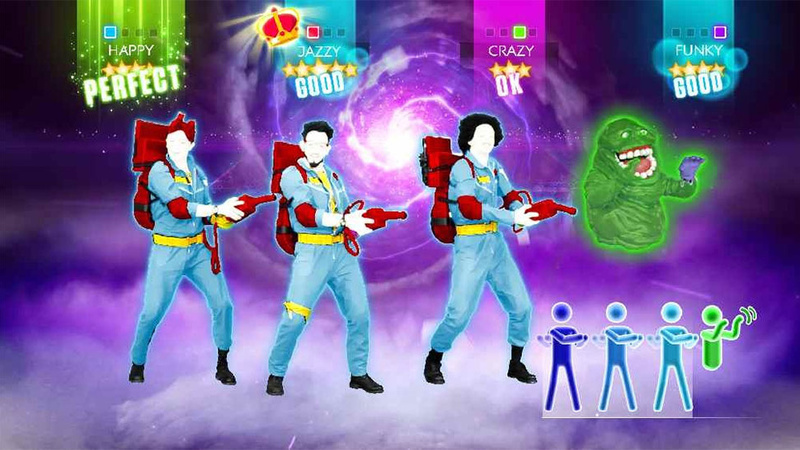 Just Dance 2014 will be grooving its way onto Wii U and Wii in early October and Ubisoft has now revealed the full list of tracks you can jive along to. It's set to feature a blend of old and new, with artists such as Bob Marley and ABBA standing alongside Lady Gaga, One Direction, Rihanna and PSY, who apparently has another song out that isn't that one. Naturally, the Village People's Y.M.C.A. will be available to perform, while there's even a track from Disney's Aladdin in there. On top of those, the US is set to get The Other Side by Jason Derulo; Europe, the Middle East and Africa will have Danse (Pop version) by TAL and Signorini (Eroe Nazionale) by Fedez; while North, Central and South America will also receive Dançando by Ivete Sangalo. 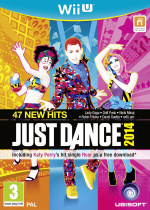 Just Dance 2014 will be on the dance floor on 1st October in Europe, 4th October in the UK and 8th October in the US. Will you be lassoed into getting this one? Let us know what you think to the songs in the comment section below. Wonder if Nintendo can push this on the Wii U by advertising it together w/ Club and Fit U. I'm sure the Wii version will outsell it 10 to 1 though. It's pretty amazing that Lady Gaga's "Just Dance" still hasn't been in any of the games. Anyway, it's probably a smart move to just name these after the years you'll be playing them in if they're going to do one every year anyway. So, the game ranks "Good" as better than "Perfect"? Tracklist doesn't seem as good as Just Dance 3 or 4, but still getting it. We'll see how the tracks work when being played. @ricklongo No, that's the rating for the current move. The stars are the total rating. @Pod It's in this game, look again. How come it took them their 5th game to get I Will Survive? And look at that! They even have Disney's Aladdin? @Andy: Have you really never heard of Gentleman? So ABBA, The Village People, and complete crap. Great tunes listed! But I already have every song there on my iTunes. Heck, I have the entire Ghostbusters (and Ghostbusters II) soundtracks. Good stuff there, definitely. When I was at Fan Expo, I played Gentleman. I won too! I almost got a Wii Remote thrown to my face, but I won. The player playing as the ghost has no legs. Genious. ...how did that get in there?! @Kyloctopus I'm afraid not... Is is worth me seeking it out or am I better off not bothering? Getting this only for gentleman and ghostbusters. I can't wait for this! @crumpledpapyrus If you don't like Gangnam Style, you won't like this too much. But I admit it's pretty catchy. I like Just Dance but some of the songs on the list are awful. Well not my taste. Crap it has my wife's favorite song, Careless Whisper – George Michael, she might ask me to get it.... oooh Gamefly! I know it will never happen, but this series would be much better if the main software was free, and you pay for the songs you want only.... I know UBi makes a lot more money getting people to shell out for the whole thing, therefore have no motivation do something consumer friendly... But I think the Ala Carte model or piecemeal pricing is going to be the way to go for mini games/dancing/karoke in the future. dropping $60 on a title where you only like a handful of songs is a complete and total ripoff and makes it cost prohibitive to pick it up. Serves me right for being assumptious. Ghostbusters – Ray Parker Jr."
Some gems in here but oh dear lord, TWO Minaj songs... No thank you. Prince Ali is a very wierd coincidence as it kept coming up at work yesterday. Ima gunna not buy this game because I have no Wii U or money..